the first Faliero Sarti shawl i dressed myself with came from a luvFAB shop, Kristina Ti, in porto cervo, italy. i knew then that this shawl was ever so special. the weave was tight and the supple threads were just the right weight for that season. these threads, that form blankets of varied sizes and fabric weight to dress yourself with, have become a most personal luvSTUFF accessory. i now have a treasured selection which i use year round. shawls are just the most useful accessory; they can be used to dress an outfit creatively and warm you as well. Monica Sarti, is the designer behind her family name label. a few years ago, i met monica, who had just opened her first retail shop in florence, italy, and we immediately connected. in every collection, you will find Monica Sarti‘s creativity and enthusiasm woven in her designs. Faliero Sarti shawls are the practical accessory for thebestdressup now! 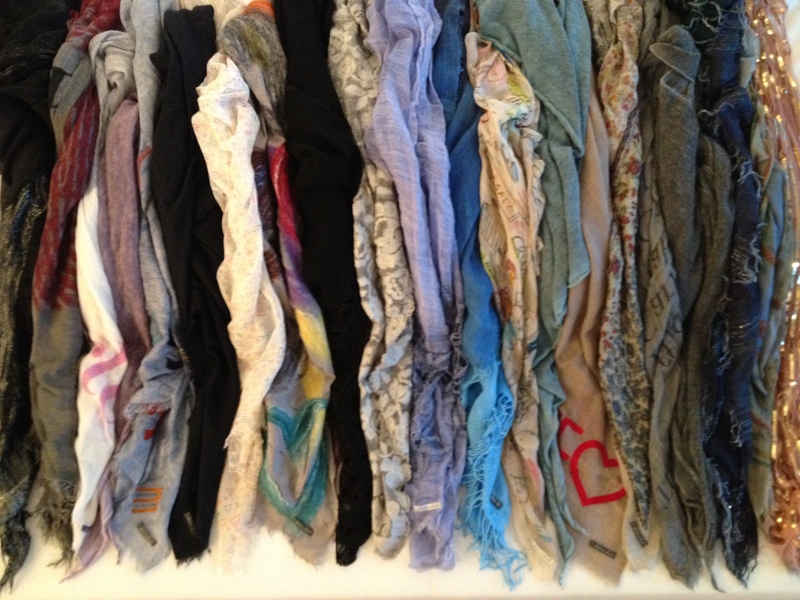 my treasured shawl selection is thebestdressup now! This entry was posted in FASHION, luvFAB, luvSTUFF, PEOPLE, TRAVEL and tagged FALIERO SARTI, FLORENCE, ITALY, KRISTINA TI, MONICA SARTI, PORTO CERVO. Bookmark the permalink. I love this shop in Florence. I always stop there on my way to Giacosa for coffee. ciao! two of my luvMUST in florence.